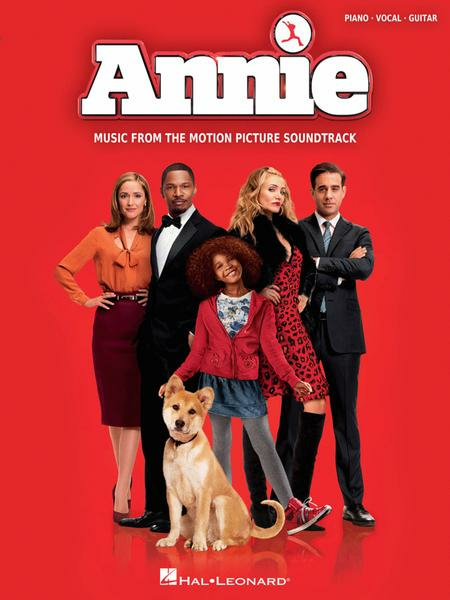 Music from the 2014 Motion Picture Soundtrack. Composed by Charles Strouse. Piano/Vocal/Guitar Songbook. Movies. Softcover. 72 pages. Published by Hal Leonard (HL.142899). 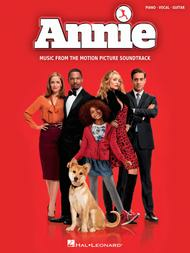 Charles Strouse' timeless musical Annie was given a revamp in this 2014 film edition starring Jamie Foxx and Cameron Diaz. Our matching folio includes a baker's dozen songs from the soundtrack: The City's Yours • Easy Street • It's the Hard-Knock Life • Little Girls • Maybe • Moonquake Lake • Opportunity • Tomorrow • Who Am I? • You're Never Fully Dressed Without a Smile • and more. I have to admit that I haven't been through every song yet, but the songs I have, I like. My daughter is performing Opportunity, and I especially like that arrangement.
. Most of the other arrangements are actually good.